Connecticut equipment dealer uses new technology in an old industry. certification to fly drones commercially. sorting operations to solve problems such as issues with transfer points. 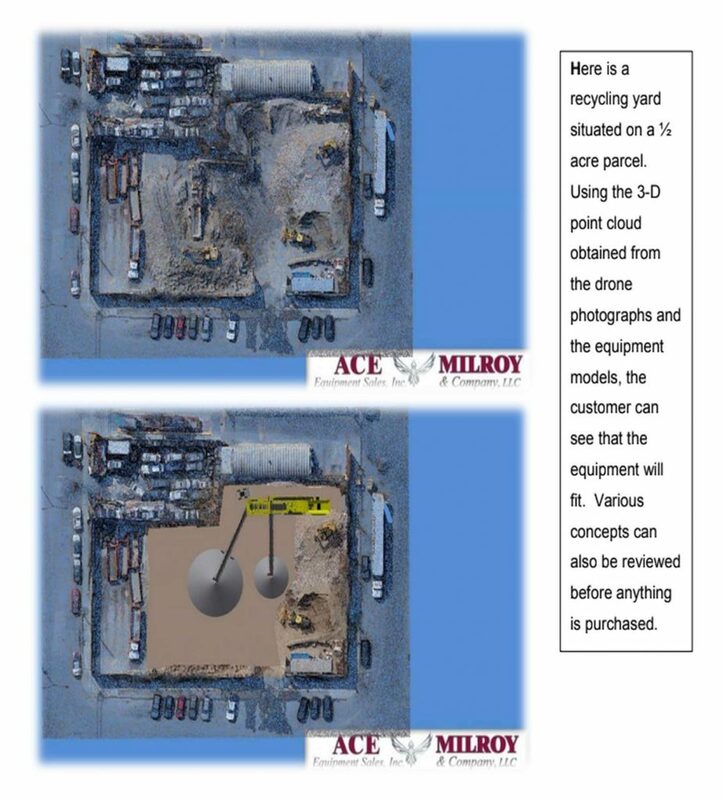 photogrammetry, the drone’s photographs are used to create topographic surveys of job sites. Ace Equipment uses a RTK-GPS Unit. (Real Time Kinematics) – (Global Positioning Satellite). generators, control booths are going to fit on your site. site. Questions like “Is it going to fit? How much material can I store? What size conveyors? investment in plant and site development. how much fill is coming in. better decisions for a more profitable company. plant design to custom manufactured parts, we got you covered!